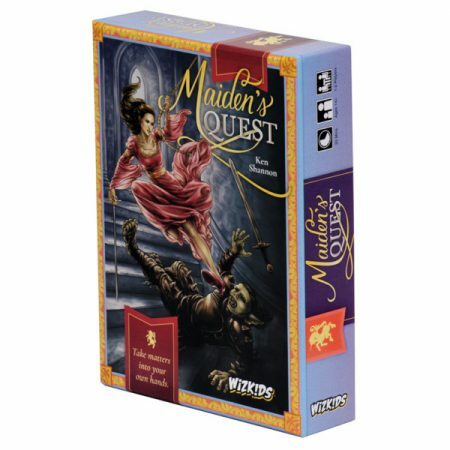 WizKids has released their new card game, Maidens Quest. It is time to take matters into your own hands. Literally! A maiden, tired of waiting to be rescued, takes it upon herself to fight her enemies and escape. Maidens use cards from their hand to attempt to defeat an enemy or obstacle. 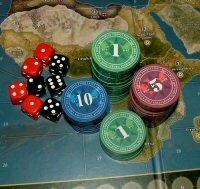 As you play, the game’s difficulty grows as enemies of increasing veracity become active! An innovative turn and flip mechanism allows each card to represent up to four items, encounters, or allies. This fun and easy to learn game takes 10 to 30 minutes to play if you play non-stop. Or play one round at a time, which is only 30 seconds or less! Each encounter resolves separately, so you can stop and stow away the deck at any time, returning to play exactly where you left off. Also, the game is played solely in the hand, so no table space is required! 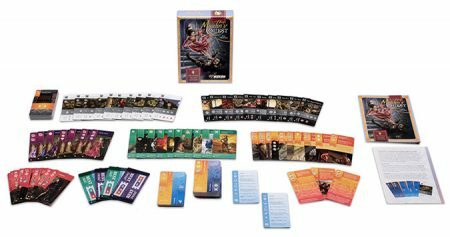 Box contents include enough for true solo (1-player) play, co-op, or competitive 2-player games. With multiple copies, even more players can join in and be part of a large, multi-player experience!